For this example, we’ll be analyzing some Arabidopsis thaliana data, so we’ll download and index the A. thaliana transcriptome. Once you have your quantification results you can use them for downstream analysis with differential expression tools like DESeq2, edgeR, limma, or sleuth. Using the tximport package, you can import salmon’s transcript-level quantifications and optionally aggregate them to the gene level for gene-level differential expression analysis. You can read more about how to import salmon’s results into DESeq2 by reading the tximport section of the excellent DESeq2 vignette. For instructions on importing for use with edgeR or limma, see the tximport vignette. For preparing salmon output for use with sleuth, see the wasabi package. 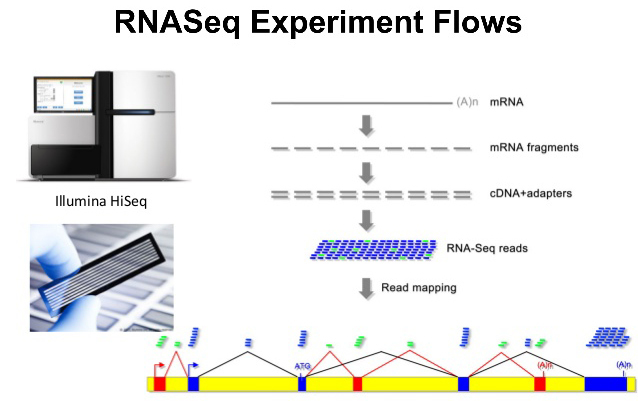 LPEseq was designed for the RNA-Seq data with a small number of replicates, especially with non-replicate in each class. Also LPEseq can be equally applied both count-base and FPKM-based (non-count values) input data. The quasi-likelihood method is highly recommended for differential expression analyses of bulk RNA-seq data as it gives stricter error rate control by accounting for the uncertainty in dispersion estimation. The likelihood ratio test can be useful in some special cases such as single cell RNA-seq and datasets with no replicates. For an experiment without replicates, you should just run DESeq() as normal. A popular strategy to cope with zeros is to add a small number to all counts so that you avoid division by zero and at the same time you don’t bias the results (e.g. 1000:0 is reasonably equivalent to 1001:1). Having said that, this is an issue that bugs me sometime when interpreting fold change ratios since small numbers can have a large effect which is not consistent with the biological interpretation. For example, if you add 1 to all your counts you could get log2(1001/1)= 9.97; if instead you add 0.1(biologically the same, I would argue) you get log2(1000.1/0.1)= 13.29, which is a big difference. In the following example, hg19Ref.gtf is the ucsc knownGene table in GTF format for hg19; sample1.sam and sample2.sam are the mapped reads in SAM format. This example utilizes samtools to produce mapped reads in SAM format from BAM format. This example finds differentially expressed genes using default parameters on two group of samples. This example finds differentially expressed genes using default parameters on two group of samples. Only the first group contains replicates. In this case, the variance estimated based on the first group will be used as the variance of the second group.